 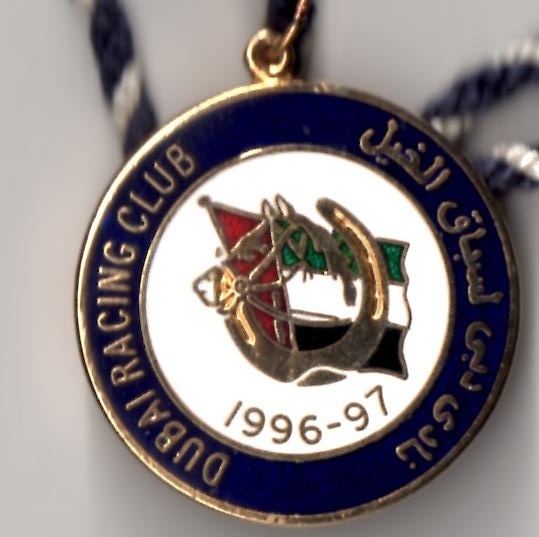 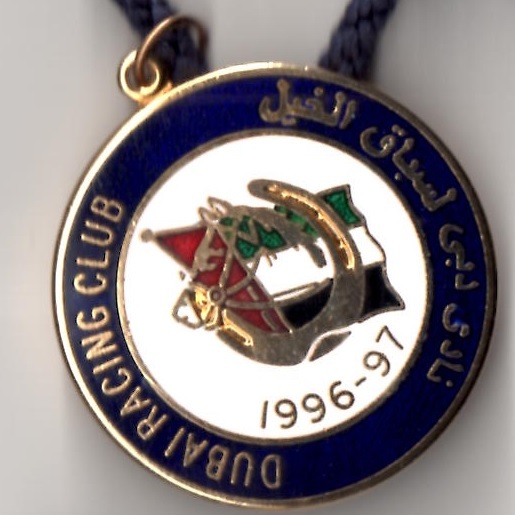 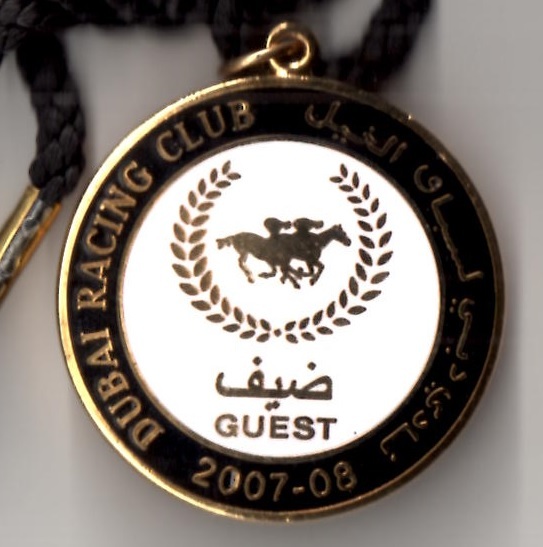 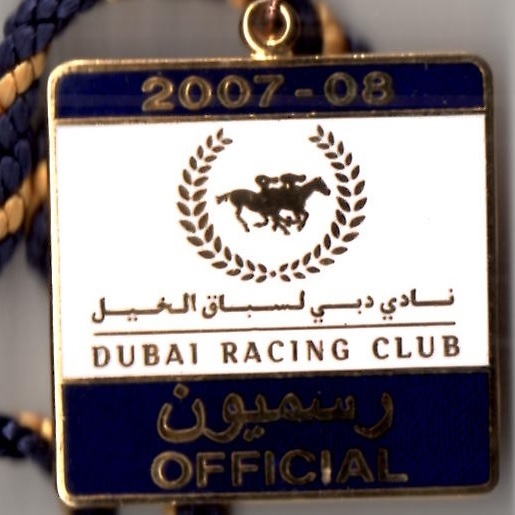 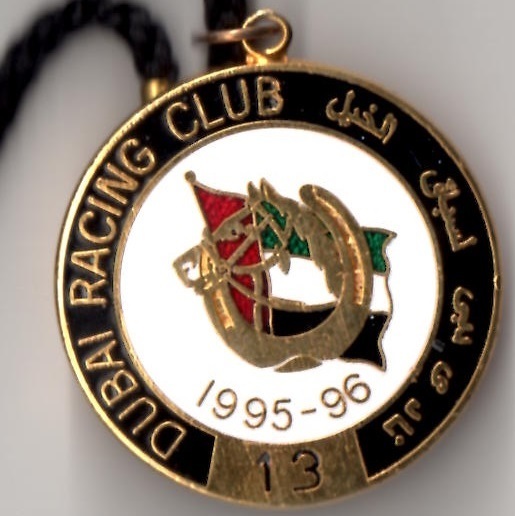 The Dubai Racing Club was formed in the early months of 1992 when chaired by Colonel Ali Khamis Al Jafleh. 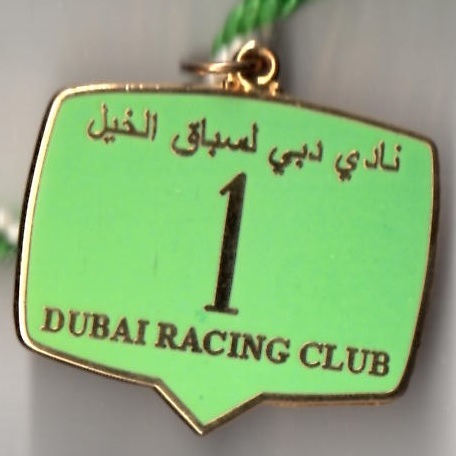 Prior to its formation, horse racing was first staged in the Emirate of Dubai a decade earlier in October 1981 when there were 3 principal races catering for sprint horses, milers and the classic mile and a half horses. 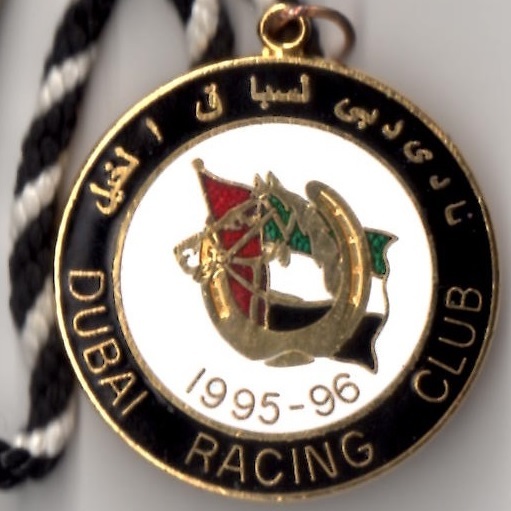 By March 1992 the inaugural meeting at the Nad Al Sheba Racecourse was held when graced by the presence of internationally recognised champion jockeys such as Lester Piggott, Pat Eddery and Willie Carson. 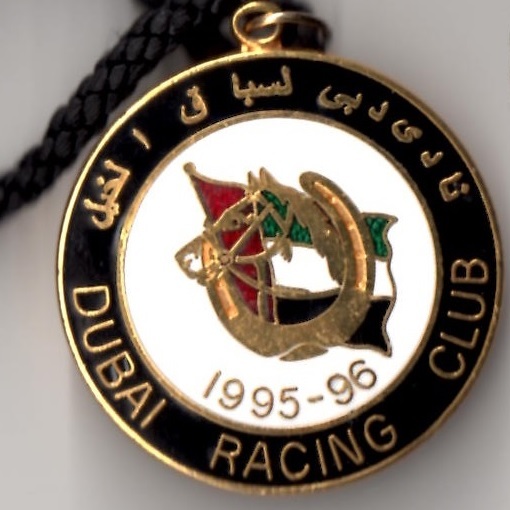 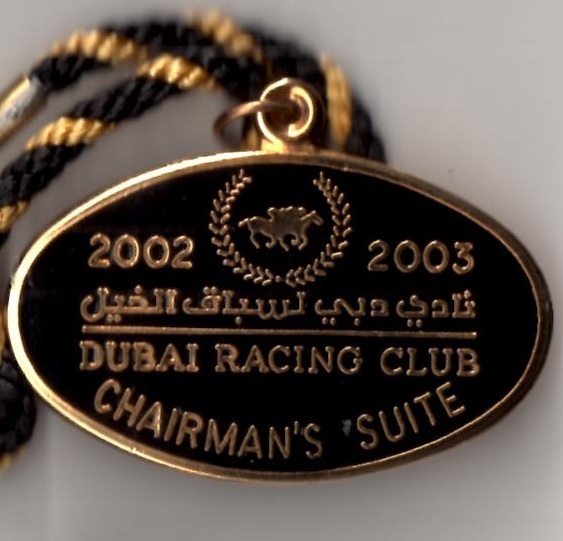 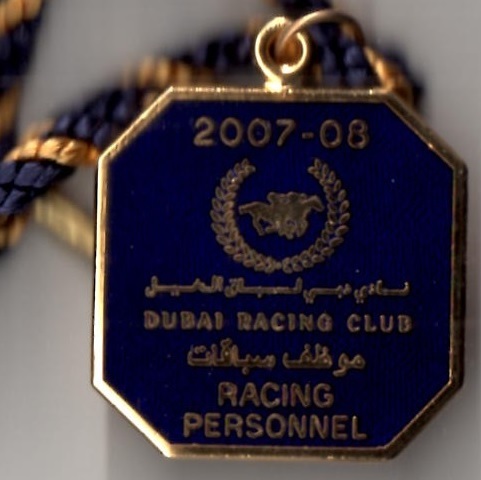 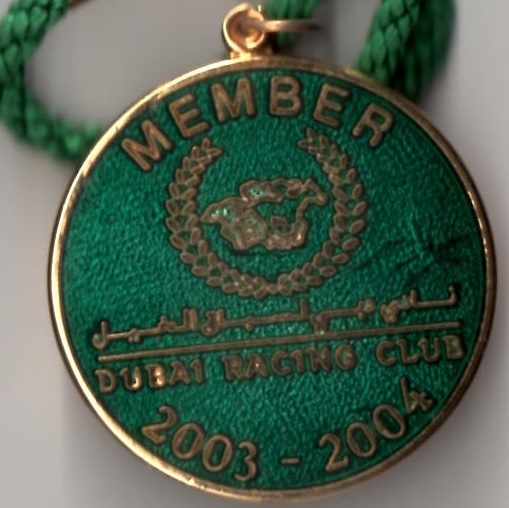 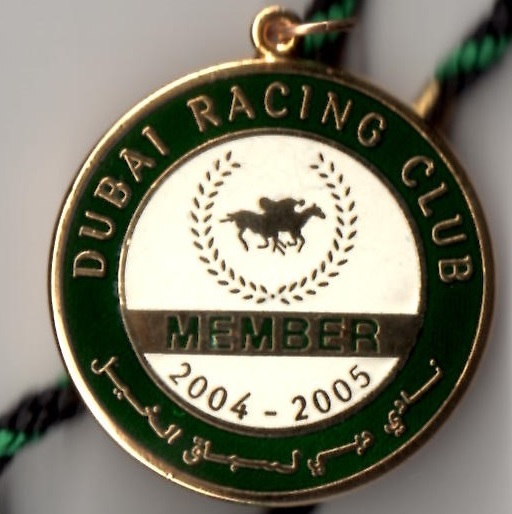 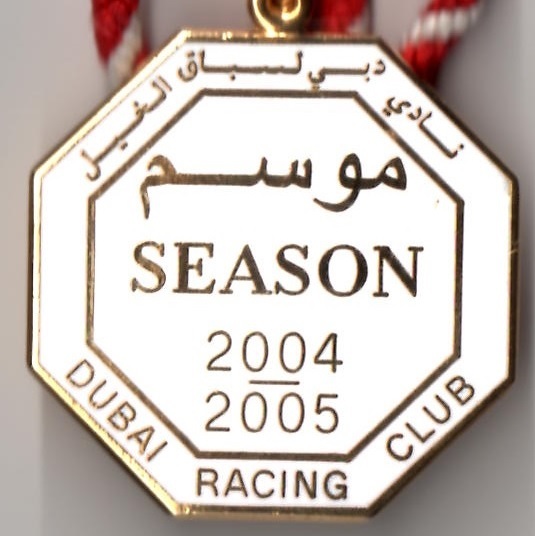 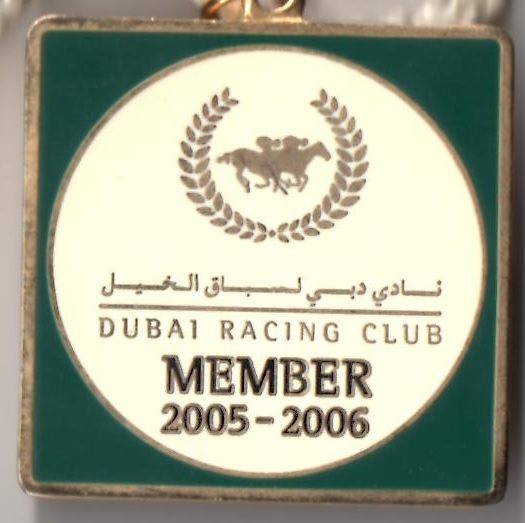 Richard has amassed a collection of badges from the initial period of the Dubai Racing Club from 1995 to 2006 and then continued to add to his collection when the Dubai World Cup was launched in 1996. 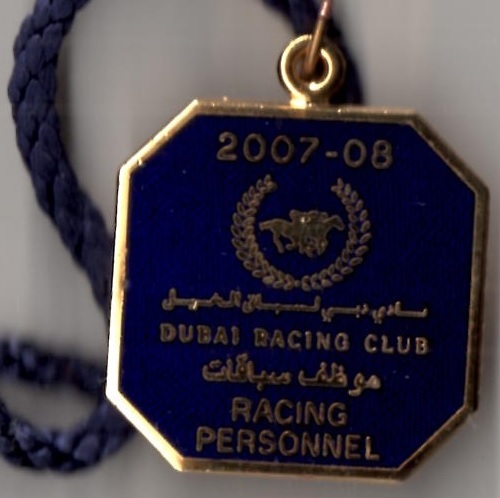 His Dubai World Cup collection is displayed in a separate section of the site.